In the folklore of the Anishinaabe peoples of North America, the Prophecy of the Seventh Fire predicts that there will come a time when we must choose between two paths. One path will be green and lush. The other will be well worn but scorched, and walking it will cut our feet. 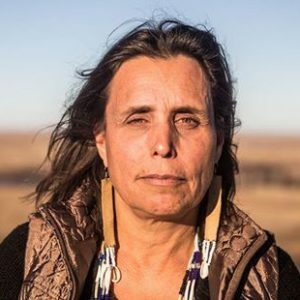 For more than twenty-five years Winona LaDuke has been a leading advocate and organizer for Native American groups working to recover their ancestral lands, natural resources, and cultures. LaDuke is Executive Director and co-founder of Honor the Earth as well as founder of the Indigenous Women’s Network. She is an accomplished author and two-time vice presidential candidate with the Green Party. On Saturday, November 4th, LaDuke will deliver the keynote address at the 37th Annual E. F. Schumacher Lectures, which will take place at the Mahaiwe Performing Arts Center in Great Barrington, Massachusetts. Her talk will be followed by a panel discussion led by Nwamaka Agbo, a member of Schumacher Center’s board of directors and the Innovation Fellow at the Movement Strategy Center in Oakland, California. 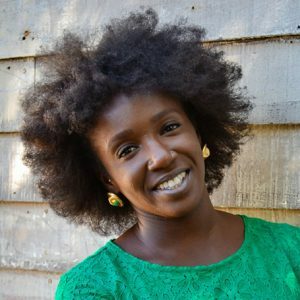 Nwamaka Agbo will moderate a discussion between young people from diverse backgrounds who are doing work to reclaim ownership of community resources in order to build stronger local economies and ecologies—those who have chosen the Green Path. In facilitating the conversation she will bring to bear more than ten years of experience in social and economic justice organizing and economic development. $150 tickets include the afternoon’s event plus an evening reception at Crissey Farm in Great Barrington with a dinner menu featuring indigenous ingredients. Tickets will go on sale at 12 noon on Thursday, June 8th though the Mahaiw’s box office. Check our website and keep in touch via Facebook or Twitter to make sure you get a seat, as last year’s Lectures event sold out quickly. At the 36th Annual E. F. Schumacher Lectures Mary Berry moderated a conversation between Wendell Berry and Wes Jackson during which they called for a different kind of education, one that encourages young people to develop an understanding of their place. They called for a cultural transformation that fosters unending conversation between old people and young people, thus assuring the survival of local memory and decision-making based on affection. This conversation is now available to read for free online and is also available to purchase in eBook and pamphlet form.